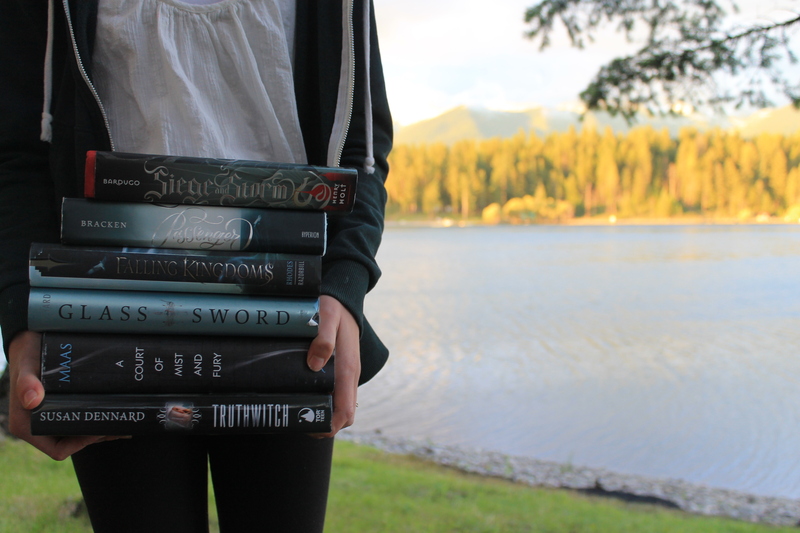 Summary from Goodreads: Seventeen year-old Britta Flannery is at ease only in the woods with her dagger and bow. She spends her days tracking criminals alongside her father, the legendary bounty hunter for the King of Malam—that is, until her father is murdered. Now outcast and alone and having no rights to her father’s land or inheritance, she seeks refuge where she feels most safe: the Ever Woods. When Britta is caught poaching by the royal guard, instead of facing the noose she is offered a deal: her freedom in exchange for her father’s killer. Ever the Hunted was a huge disappointment for me. It was predictable, boring, and cliche. On top of all that, the characters were terribly stubborn and really got on my nerves. There was nothing new or special about this book. And I so thought it was going to be good. Just look at that cover! Sadly, this book was the complete opposite of its amazing cover and was just flat out bad. I rarely give books only one star, so when I do, it’s because I really disliked it. Britta Flannery’s father, the King’s bounty hunter, has recently been assassinated. With her father’s land and money taken from her, she is left alone. When she’s caught poaching illegally, the guards make her a deal. They’ll allow her to live only if she is able to hunt down the boy who killed her father. So Britta and a few of the guards leave the city to track down Cohen McKay. Our main character, Bitta Flannery, was so annoying. She made me want to rip my head off. Britta was very stubborn to the point of annoying. Now I normally don’t mind stubborn characters, but in Britta’s case, it was just bad. Take Adam Parrish from The Raven Boys for example. He’s incredibly prideful and stubborn which can be annoying at times, but I stilled loved him. Britta can also tell when people are lying or telling the truth, which just made me think of Susan Dennard’s Truthwitch. The romance made me cringe. Both Britta and Cohen were extremely stubborn and couldn’t get over themselves. I get that they had been dating before then broken up, but the romance just felt fake and really forced. Both of their personalities were terrible. When you put them together, it’s even worse. They had a very cliché relationship. I felt like I had already read the exact same love story, just much better than this one. There wasn’t enough worldbuilding. I didn’t get a clear sense of the world. It just felt so thrown together at once On top of that, the writing wasn’t anything special either. It was kind of boring and the story was really slow with essentially nothing happening. Honestly, the worst part for me was how predictable it was. I will be discussing minor spoilers that I had thought the main character knew the entire time, so skip to the end of this paragraph if you don’t want to be spoiled. — The entire time, I had thought Britta had powers. It was that obvious. But then on 306 Britta found out about it? Like what?? It was SO obvious. I legit thought that she knew, but it turned out I was wrong. This book was very cliché/trope heavy. 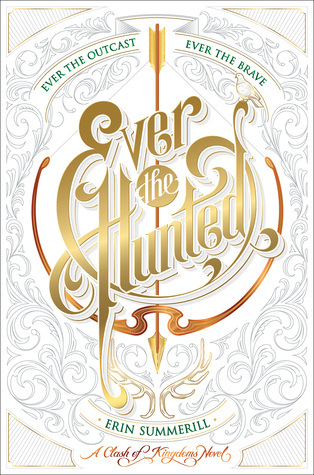 Everything about Ever the Hunted felt familiar, like I had already read it before. Nothing about this book felt new or special, it was just so boring and slow and cliché. Overall, I would not recommend Ever the Hunted. But then again, I know a lot of people liked it, so if it intrigues you, then give it a try. But for me, it was really predictable and cliché. Everything just kind of fell flat. Though I gave it one star, I might give the second book a try, but who knows. Bummer! It’s never a good day for a book worm when a book disappoints. This is so weird – I agree with everything you said to some extent, but I also really liked the book! I absolutely agree that the predictability was the worst part. Thanks for the great review! You’re right–the cover is so pretty that OF COURSE I expect good things from this book, but I’ve been seeing so many mixed thoughts about this one, it might be better just to skip it. There are just so many other YA fantasy books that I could read instead. No, thank YOU, Lefty! 😀 I know, it’s so beautiful. *cries* Yeah, it seems a lot of reviews are negative but some people I know really enjoyed it, so I don’t know, you might, too? But I totally agree, why waste my time reading something so boring and unoriginal when I could be reading something the exact opposite. Oh good, I’m glad I’m not the only one who strongly disliked this book. :(( All of it was really underdeveloped and unoriginal, sadly. Thank you though, Zoe! Ah this is sad… I was quite looking forward to this one (and the cover is absolutely gorgeous). But I don’t know if I am going to pick it up now. I don’t want “too stubborn to see past themselves characters”… these tend to annoy me. Thank you for your honest review! Yeah, it wasn’t really for me, but I know a lot of people liked it, so you might too. I guess it just depends on what kind of “turns you on/off” about books. Thank you, Iris! I haven’t heard much about this one, but most of what I’ve heard has been pretty meh. I wasn’t really planning on reading this, but the cover is really nice! I’ve heard from others that this was pretty much cliche, so I’ll definitely pass! Adam is my child, though; I loved him from the beginning, even thought that’s completely unrelated. Great review! Oh wow, I don’t think I’ll pick this book up after this review. Most reviews I’ve read for “Ever the Hunted” are negative ones so maybe in shouldn’t bother with it. I absolutely hate stubborn main characters to the point where they’re super irritating. It actually took me until the third book to like Adam so I’m sure I’ll end up hating Britta. Great review! It’s too bad, because this book sounded so promising. 🙁 Stubborn characters are so overdone, they get on my last nerves. I had mixed feelings on Adam in the first book, but I loved him throughout the rest of the series.